Build Java applications having the ability to compare the content & style to find differences between similar document formats. You can easily use GroupDocs.Comparison for Java directly from a Maven based project by adding following configurations to the pom.xml. GroupDocs.Comparison for Java API helps develop document comparison applications in Java environment.  Using this difference checker API your Java based applications will be able to detect changes and difference in content as well as text style among same format documents, presentations, spreadsheets, and various other types of files. The differences will be presented in a comprehensive comparison document. GroupDocs.Comparison for Java API allows fetching and saving simple, password protected, as well as encrypted documents via file as well as stream. GroupDocs.Comparison for Java allows you to compare documents at three levels deep. You can set comparison intensity to be low (compare text word by word with accuracy for imaging grid = 50), middle (compare text character by character with accuracy for imaging grid = 100) or high (compare text character by character with accuracy for imaging grid = 150). Along with document content, GroupDocs.Comparison for Java API allows to compare text style as well. Font name, size, color, style (bold, italic, underline, small caps, and hyperlinks) and if applicable, under color can also be compared to check difference among compared documents, while words and characters are being compared. For paragraph comparison, alignment, indentation (left indent, right indent), spacing (space after, space before), first line indent and line spacing can also be compared. Similarly, wherever applicable, other sections of a page can also be compared through GroupDocs.Comparison for Java API. The sections include, footer distance, page margins (left, right, top, and bottom), page height, page orientation, border color and line width.